#CJSReads thanks Flatiron for our copies! I'm so happy to reintroduce this dark fairy tale/YA/fantasy book along with my co-reviewers! Jessica and Sam also reviewed this one - scroll below to see what they thought! It's no secret that I enjoy fairytale retellings - especially when they're dark. Yes, we all grew up loving the fairytales with the "And they lived happily ever after" stories, but this one is not like that at all. If you've read the old school Grimm tales then that is what you can be expecting here. Alice is 17 and her entire life has been traveling on the road with her mother. They've always barely been a couple steps ahead of bad luck chasing them. 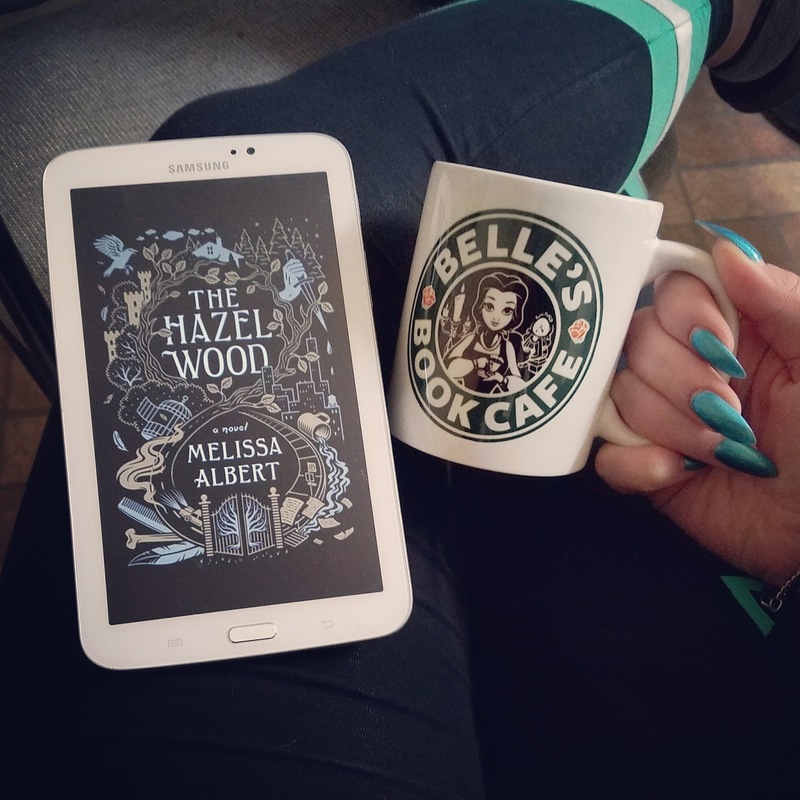 Well, as if their lives weren't riddled with enough bad luck, Alice learns that her grandmother has passed away in her estate known as the Hazel Wood. Her grandmother was known for her dark fairytales that had a huge cult following. These stories took place in a supernatural world called the Hinterland. While coming to terms with her grandmother's death, her mother Ella is taken from her into Hinterland. She leaves behind a note reading, "Stay away from the Hazel Wood." Alice has made it her mission to stay far away from her grandmother's cultish fans, but she finds that she must team up with her fellow classmate. Ellery Finch is a longtime Hinterland superfan but are his intentions purely to help Alice find her mother? 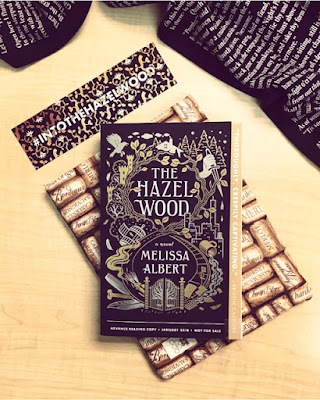 Together, they venture into the Hazel Wood and then further into Hinterland to try and save her mother, but what will she learn along the way? If you love dark fairytales then this is one that needs to be on your list. It may start out a little slower for some readers at the beginning but you'll find yourself so intrigued and slowly pulled in that you won't want it to stop. Like my #CJSReads ladies, I need more Hinterland! I want to know more about this universe and other stories. This was beautifully written and was a very easy read. Despite being categorized as a YA novel, this one didn't feel too YA, if that makes sense! 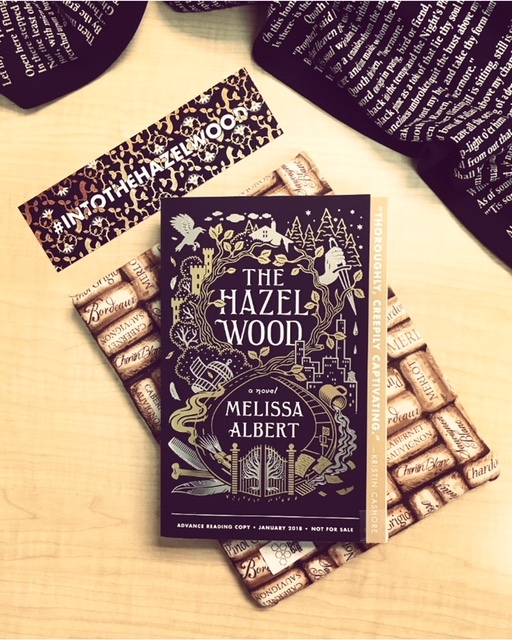 If you want something dark with fantasy, then you should venture into the Hazel Wood. While I don’t read much YA, there is something that I am a complete sucker for- fairy tales. I love everything about them: the love stories, the wicked villains and the magical realism. 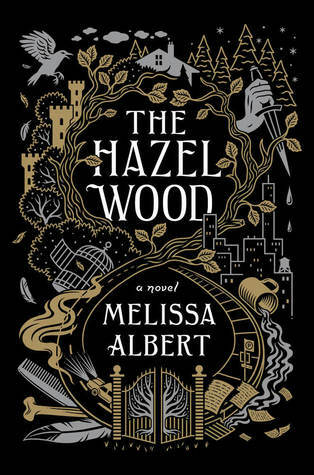 So, when #cjsreads discussed adding The Hazel Wood, the fantasy, twisted fairy tale novel by Melissa Albert, to our January choices, I knew I needed this book in my life. 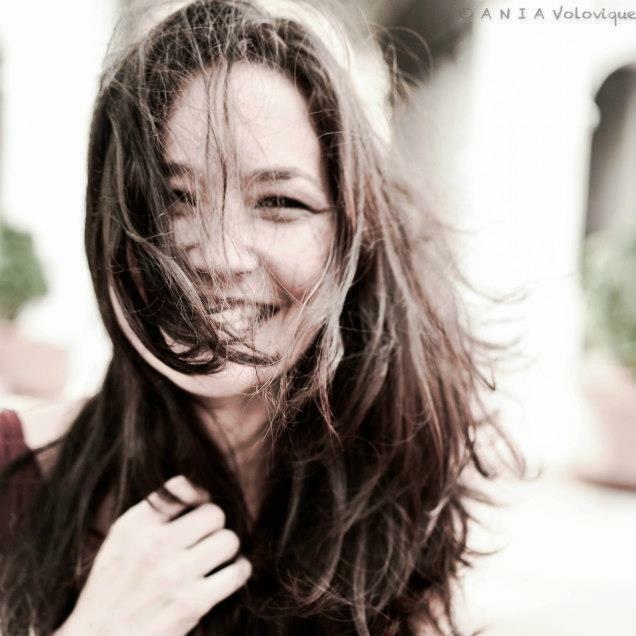 The novel follows Alice, a seventeen-year girl who is no stranger to life on the road, and her mother Ella. When Alice’s grandmother, a famous novelist and author of the cult classic book of dark fairy tales (The Hinterland), passes away, Alice is drawn to the Hazel Wood (her grandmother’s reclusive home) in search of her mother. To retrieve her mother, Alice enlists the help of Hinterland super fan Ellery Finch to navigate this cruel, supernatural world that Alice’s grandmother created. Now, like I said The Hazel Wood is much different from what I normally am drawn to but I was really intrigued by the synopsis. I loved the concept and the characters. By the time I was finished the first chapter I was completely hooked. I sucked into this strange, dark world and, during the first half of the book, I found myself desperate to navigate this story. Almost like an allegorical quest story, I rooted for Alice. I felt like Albert’s prose was beautiful; there is no doubt that this novel is well written. One feature of the novel I enjoyed the most was how dark it was. The bits and pieces of the fairy tale stories that were revealed had me so intrigued. I wish there was a companion piece to this novel where I could read every story from The Hinterland! I would love that: hint, hint Melissa Albert! I don’t want to give anything away, but I did find that I got a little bit lost during the second half of the novel. It sort of start blending genre lines and moving more into a sci-fi, fantasy, magical type of text that I struggled to navigate. However, I did feel like this ended in an interesting twist, which I appreciated. Overall, an intriguing, dark story that will start a discussion! 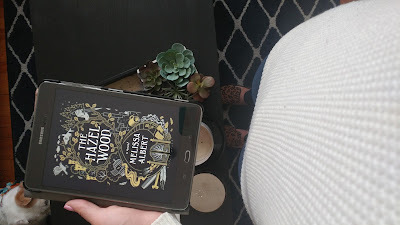 If you want a novel that will push you out of your comfort zone, pick up The Hazel Wood, you will not regret reading this phenomenally written story.